[Editor's Note: The movie, The Diary of Anne Frank (1959), was promoted to the hilt and was probably seen by most Americans old enough to go to movies because it was so highly publicized as one of the greatest movies every made. It was a gripping, heart wrenching story that left a deep impression upon you, especially at that time. It was well acted with a top director, top cast and top screen writers. Of course, everyone assumed that the diary and the Anne Frank story were 100% true as portrayed in the movie because we had no reason to believe otherwise; since every media outlet in America from magazines, to newspapers, to TV, radio, etc. hailed it as a true story. The same could be said of the heavily promoted 1960 movie, Exodus: Top stars, top director (Otto Preminger) and promoted to the hilt. And then there was Spielberg's Schindler's List in 1993 that shook up my wife and myself so deeply that we could only sit in the car in the parking lot speechless for 30 minutes before even starting the engine because we were so emotionally devastated by what we had just seen on that giant theater screen. Today, we know that all of these movies were works of fiction, but passed off to the gullible, trusting, and believing American public as real. Most younger Americans don't know that following World War II, at the Nuremberg trails, there was no mention or accusation of Nazis gassing people to death at Auschwitz or at any other Nazi concentration camp during World War II. Nor was there any mention of shower gas chamber "extermination" camps throughout the 50s and most of the 60s. The "Holocaust" propaganda campaign only began to take root in the late 1960s and early1970s; and not before (as anyone who grew up in that period will attest). Had the homicidal "shower gas chamber" story been real, it would have been the biggest, and most explosive revelation at the Nuremberg trails and there would have been countless books, newspaper and magazine articles, and movies devoted to telling and re-telling the "Holocaust" genocide story ad nauseam from 1945 onwards. But we didn't hear a single word about the Nazis gassing "millions" in Auschwitz until more than 20 years after the war. Doesn't that strike you as completely unreasonable, and therefore untenable? The Holocaust myth, in turn, created the pretext for "death camp" suvivors (or more accurately, people who claim they are survivors of Nazi camps) to receive BILLIONS in yearly compensation from German taxpayers, first and foremost, but also from American taxpayers and from taxpayers in many other countries in Europe who, for some unexplained reason, are resposnible to pay reparations to people claiming to be survivors of Nazi concentration camps. Few will deny that the printed word in this instance fanned the flames of passion which brought about one of the bloodiest and saddest wars of American history, with brother sometimes pitted against brother, father against son. Perhaps if there had been less appeal to the emotions, the problems might have resolved themselves through peaceful means. However, almost universally read at the time, few people then recognized the potency of one small book or the injustice done the South through its wide acceptance as a fair picture of slavery in the South. Such has been the effect, if not the deliberate intention, of many who have promoted its distribution, of a book of popular appeal - The Diary Of Anne Frank. It has been sold to the public as the actual diary of a young Jewish girl who died in a Nazi concentration camp after two years of abuse and horror. 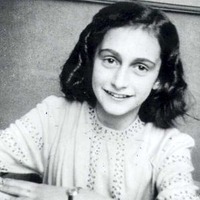 The Western world has for some years been made aware of a young Jewish girl through the medium of what purports to he her personally written story, "Anne Frank's Diary." Any informed literary inspection of this book has shown it to have been impossible as the work of a teenager. A noteworthy decision of the New York Supreme Court confirms this point of view, in that the well known American writer, Meyer Levin [R], has been awarded $50.000 to he paid him by the father of Anne Frank as an honorarium for Levin's work on the "Anne Frank Diary." Mr. Otto Frank [L], in Switzerland, had promised to pay to prominent Jewish author, Meyer Levin. not less than $50,000 because he had used the literary creation of author Levin in toto, and represented it to his publisher and the public as his late daughter’s original work. In royalties alone, Otto Frank has profited richly from the sale of this book, purporting to depict the tragic life of his daughter. But is it fact, or is it fiction? Is it truth or is it propaganda? Or is it a combination of all of these? And to what degree does it wrongfully appeal to the emotions through a misrepresentation as to its origin? Others who have expressed the same convictions have been charged with anti-Semitism. Yet it is to be noted that both Otto Frank and his accuser Meyer Levin, were Jewish, so a similar charge would hardly be applicable in pursuing this subject to an honest conclusion..
To label fiction as fact is never justified, nor should it be condoned. Since actual period documentation does not exist to support the Holocaust myth, it has always been incumbent on its supporters to create it. These sort of pathetic refugees from the back wards seem to be drawn to the Holocausters…and they to them. There are now “Holocaust Survivors” as young as thirty years old which is an interesting anomaly because the last concentration camp was closed in 1945. Perhaps they consider the last frenzied spring sale at Bloomingdale’s department store to be what they survived. Hundreds of thousands of DVD copies will be donated to American schools and the Jewish community will demand that subservient executive and legislative bodies in America create a 'Day of Atonement' as a National Holiday to balance the terrible Christian Christmas and the wickedly Satanic Halloween. The Franks were upper class German Jews, both coming from wealthy families. Otto and his siblings lived on the exclusive Meronstrasse in Frankfurt .Otto attended a private prep school, and also attended the Lessing Gymnasium, the most expensive school in Frankfurt. In 1925, Anne's parents married and settled in Frankfurt, Germany. Anne was born in 1929. The Frank's family business included banking, management of the springs at Bad Soden and the manufacture of cough drops. Anne's mother, the former Edith Holländer, was the daughter of a manufacturer. The purported diary begins on June 12, 1942, and runs to December 5,1942 . It consists of a book that is six by four by a quarter inches . In addition to this first diary, Anne supplemented it with personal letters. Otto said Anne heard Gerrit Bolkestein in a broadcast say: ~ "Keep a diary, and he would publish after the war", and that's why Anne’s father claimed she rewrote her diaries second time in 1944. 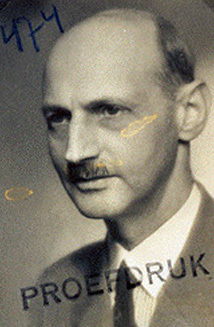 In 1944, German authorities in occupied Holland determined that Otto Frank had been swindling them via his extensive and very lucrative Wehrmacht contracts. The German police then raided his apartment attic, and the eight Jews were sent to Westerbork work camp and forced to perform manual labor .Otto himself was sent to Auschwitz.. Anne, her sister Margot, and her mother, subsequently died of typhus in another camp [Bergen-Belsen]. Questions were raised by some publishers as to whether Isa and Albert Cauvern, who assisted Otto in typing out the work, used the original diaries or whether they took it directly from Mr. Frank's personal transcription. 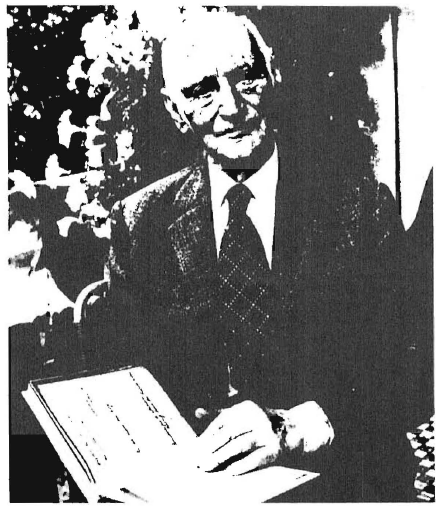 At the outset of World War II Levin made documentary films for the US Office of War Information and later worked in France as a civilian expert in the Psychological Warfare Division. He eventually became a war correspondent for the Jewish Telegraphic Agency [JTA], with the special mission of uncovering the fate of Jewish concentration camp prisoners. Levin took his role very seriously, sometimes entering concentration camps ahead of the tanks of the liberating forces in order to compile lists of the survivors. The BKA information, at the urgent request of the Jewish community, was redacted at the time, but later inadvertently released to researchers in the United States. [The Anne Frank supplement linked below contains an enormous amount of relevant information and photos to butress and expand the information presented above. TUCKED AWAY ON pages 119 and 122 of the October 6 issue of Der Spiegel, a weekly German news magazine comparable to Time or Newsweek, was a news item of considerable significance: A scientific analysis of the manuscript purported to be the original diary of Anne Frank, a Jewish girl who died in a German concentration camp during the Second World War, has revealed that the manuscript could not have been written before 1951, six years after the end of the war. Almost from the beginning there were charges that the diary was a hoax. Some of these charges were based on the gross inconsistencies between various translations and editions of the diary in book form; it was clear that the text had been heavily edited to help it sell well in different markets. Other charges were based on internal inconsistencies and credulity-straining elements in the diary itself. Otto Frank, father of Anne, displays what he says is his daughter’s diary, written in 1942–1944 while hiding from the Gestapo. Recent scientific tests have proved the alleged diary could not have been written before 1951. Frank made millions from his forgery before his death this year. Otto should have been more careful in his choice of writing instruments. It is now quite clear that he finished hoking up the “original” of the diary after he had found a publisher for what, in 1946, was nothing more than some rough notes and an idea in his head which seemed to have prospects for making him a lot of money with little effort. First a typescript for the publisher, and then, as sales of the book began to mount, a completed handwritten “original” to show to doubters.